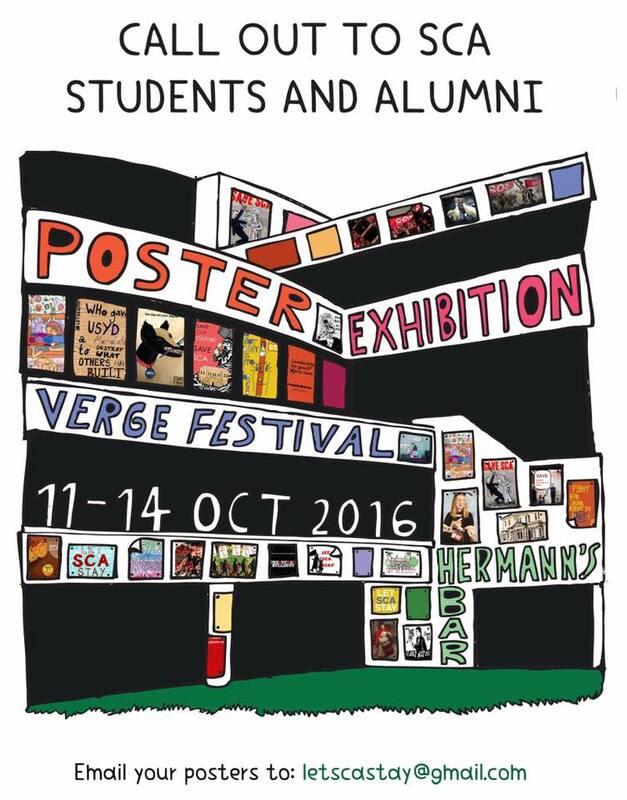 All that’s left of the poster exhibition to take place during verge festival. Security were shown the approval papers last night for the exhibition yet still destroyed it. This was installed on large cardboard panels and could of been preserved, but the image shows the posters were deliberately ripped off and torn up. Keep watching, something else will come up soon and in the meantime keep sending through your posters!